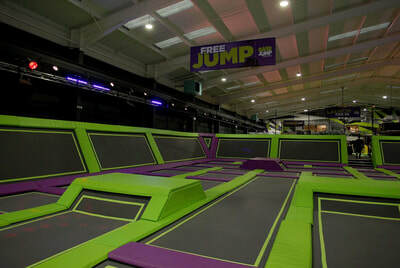 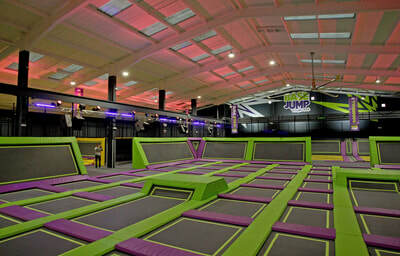 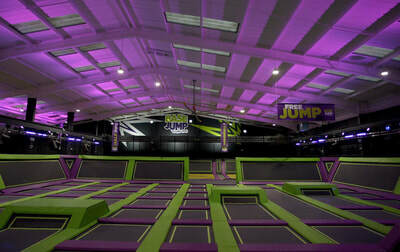 We have worked on several trampoline parks throughout the UK. Pictured here is Base Jump, designed as the UK's ultimate trampoline park at over 35,000 square feet with a 175 person capacity . 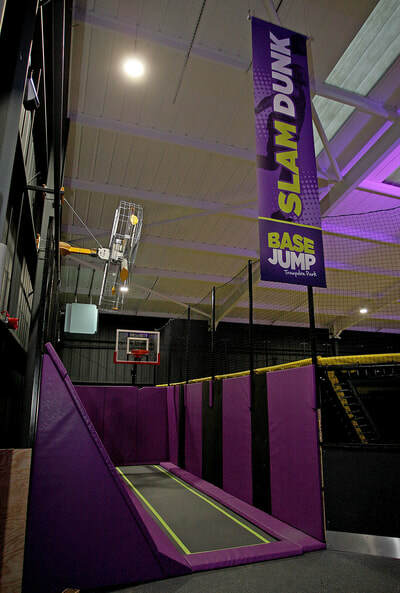 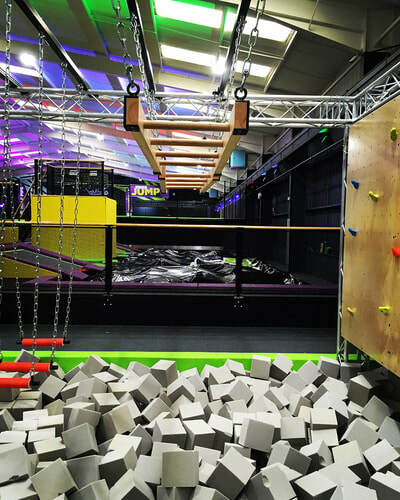 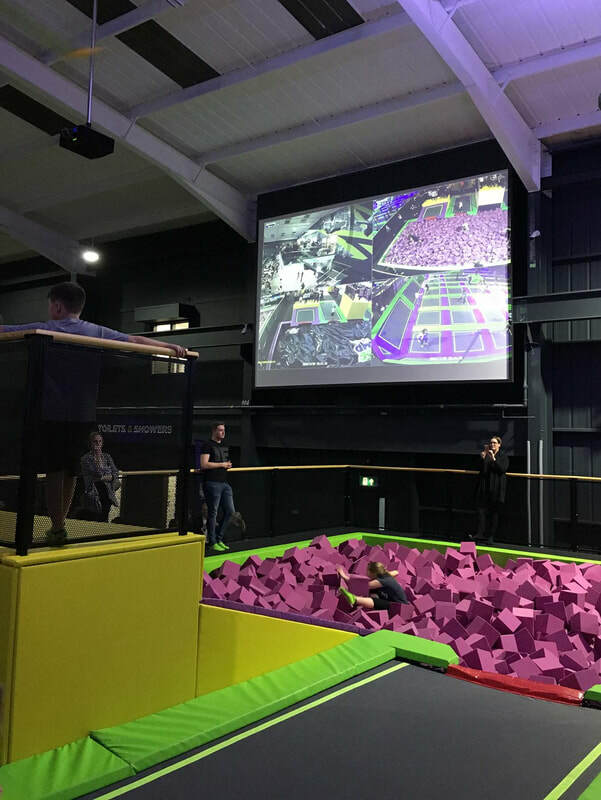 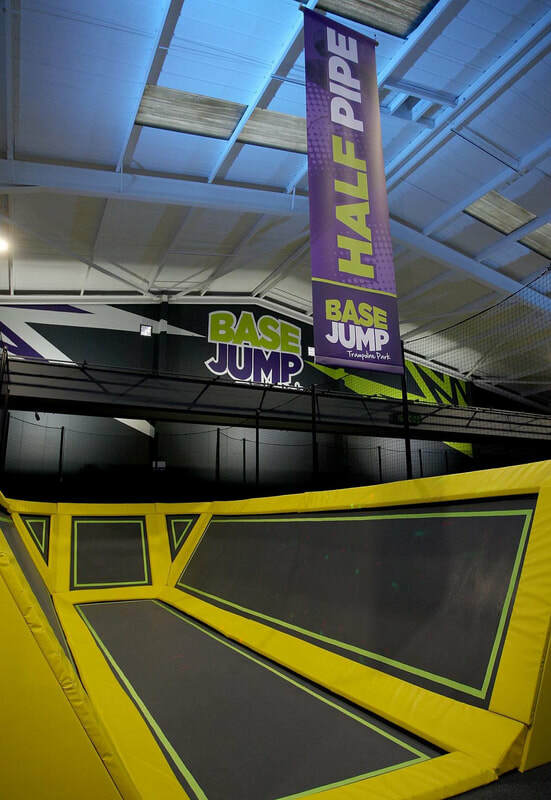 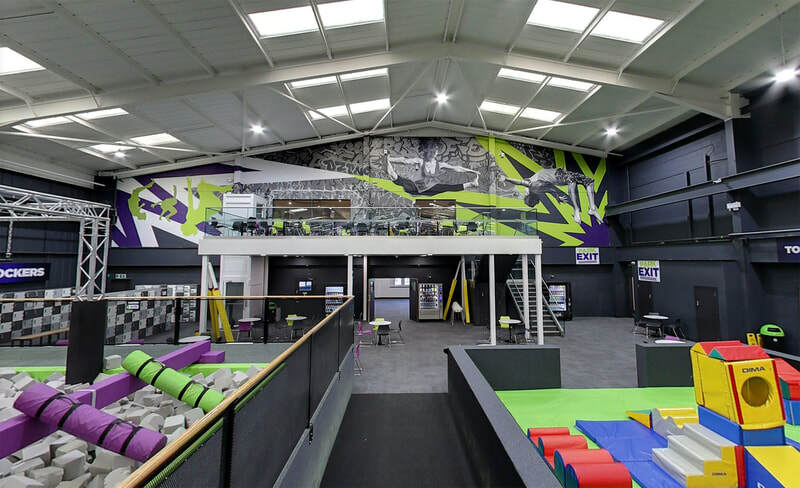 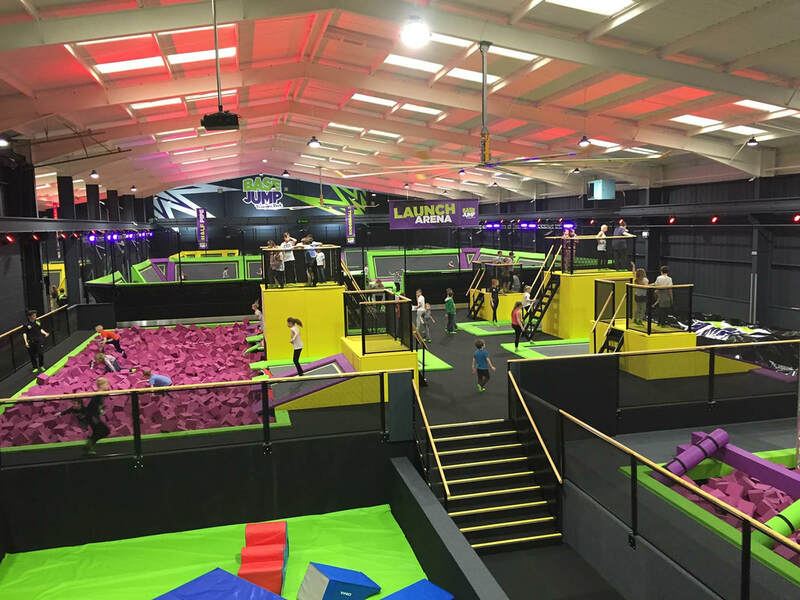 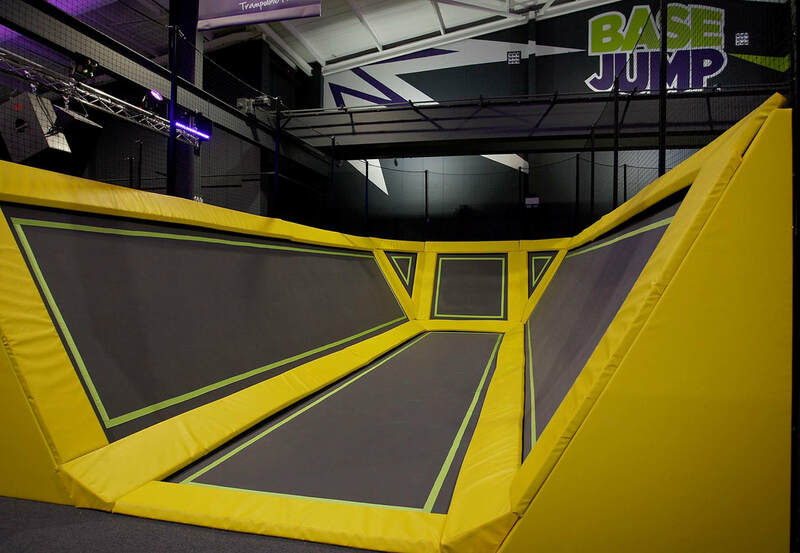 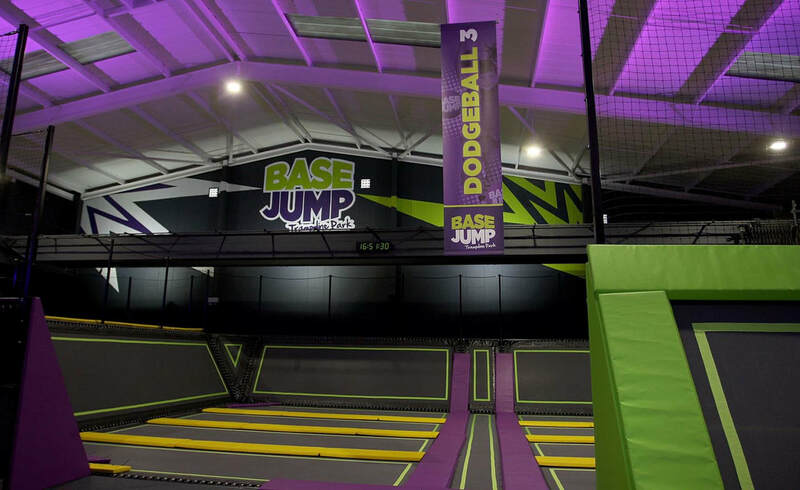 Meticulously planned, Base Jump has taken the original concept of a trampoline park to dizzy new heights through its design, keep fit elements and special features. The park features a unique trampoline half pipe, a 'Ninja Warrior' course, a launch area with jump platforms landing into five-lane air bags and foam pits, a freestyle jump arena with over 75 interlinked trampolines, a 'slam dunk lane', three Dodge Ball courts, 'Battle Beam' and a soft play area for under 5's. 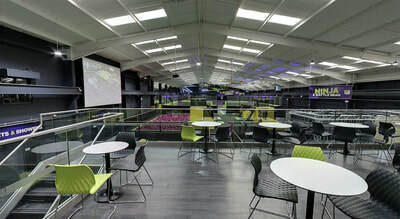 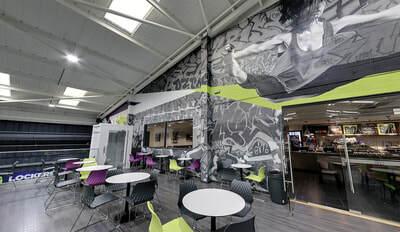 A significant effort was also put into the design of their cafe, as far from an afterthought, Base Jump utilised our expertise in the coffee sector to create a fully functioning Jump Cafe featuring an outdoor seating mezzanine overlooking the entire park and the backdrop of a huge screen projecting the live action from below. 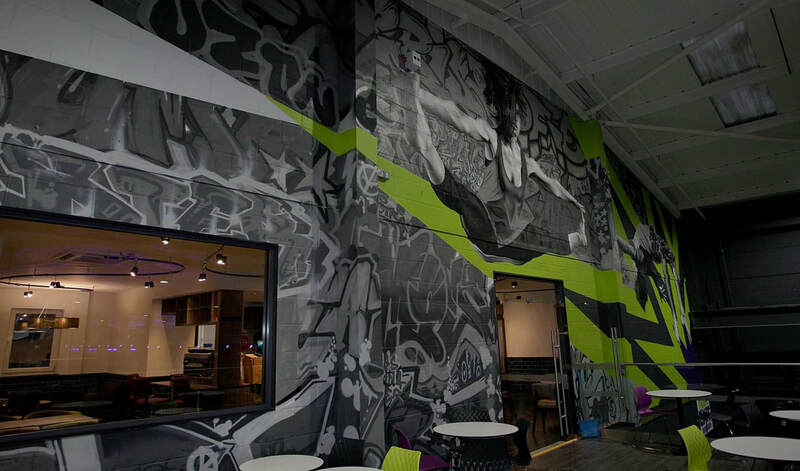 Coupled with visually stunning lighting and a massive wall of commissioned graffiti realism art work from Paint Freaks - this is truly a unique venue.